Over the past decade Rachel Franklin has developed a stellar reputation as a speaker about music. Renowned for her wit, scholarship and ability to illuminate even the most complex concert works, her gifts for communication have led to countless lecturing engagements in the region for major orchestras, concert organizations, colleges, adult education groups and many others. 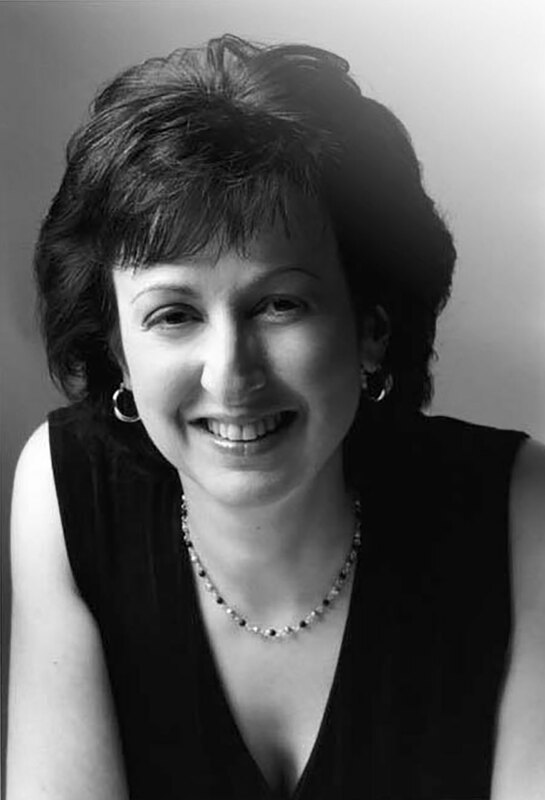 She has appeared frequently in such prestigious venues as the Smithsonian Institution, The Library of Congress, and the Peabody Institute, and has given over two dozen broadcasts about music for National Public Radio’s “Performance Today” program. 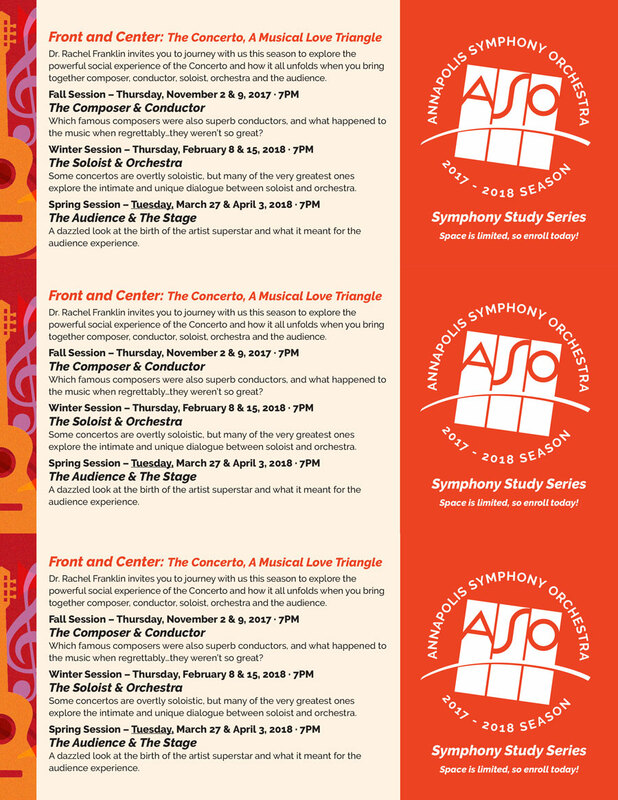 She is the Adult Program lecturer for the Annapolis Symphony Orchestra, Maryland, giving all their pre-concert lectures for every concert season and presenting six Symphony Study classes for their audiences each year. She is also a yearly presenter and performer for the Academy Art Museum in Easton, MD as well as many other venues in the Washington area. 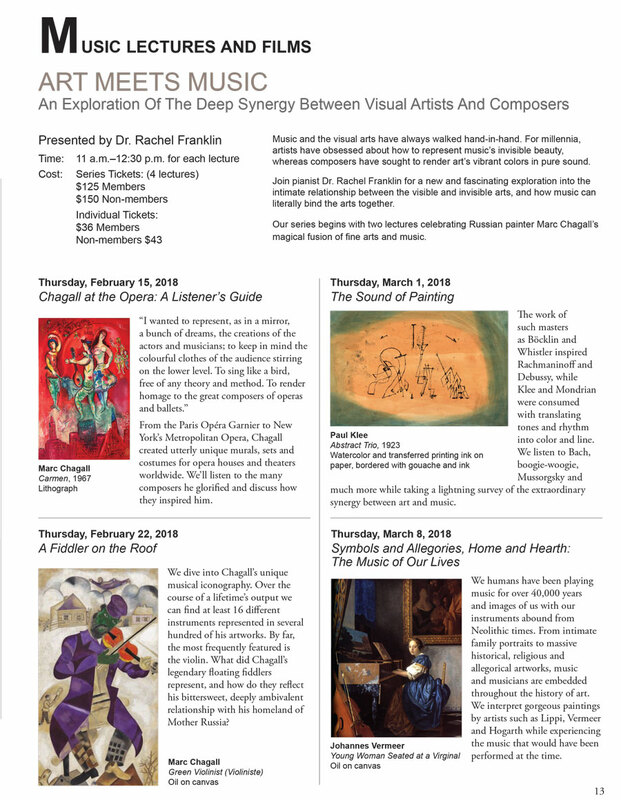 Dr. Franklin is keenly aware of the need to reach out to audiences who want a “behind the scenes” experience with classical music and its great composers, history and place in the wider world of the arts. 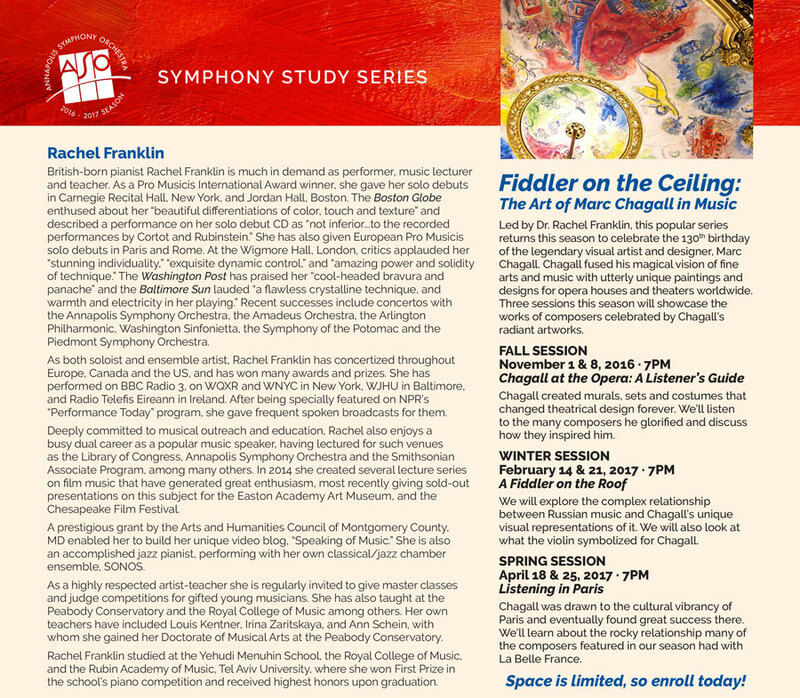 She offers many types of lecture-demonstrations, courses and lecture-recital packages. She also enjoys curating musical events and festivals, and all her presentations are designed to suit a wide variety of venues and audiences. She is always delighted to discuss possibilities with music-lovers and organizations. together composer, conductor, soloist, orchestra and the audience. We celebrate the 130th birthday of the legendary visual artist and designer, Marc Chagall. Chagall fused his magical vision of fine arts and music with utterly unique paintings and designs for opera houses and theaters worldwide. Music and the visual arts have always walked hand-in-hand. For millennia, artists have obsessed about how to represent music’s invisible beauty, whereas composers have sought to render art’s vibrant colors in pure sound. Dr. Rachel Franklin delves into the intimate relationship between the visible and invisible arts.